Selena Gomez, simple street outfit - jeans, white tee, sneakers, low ponytail. 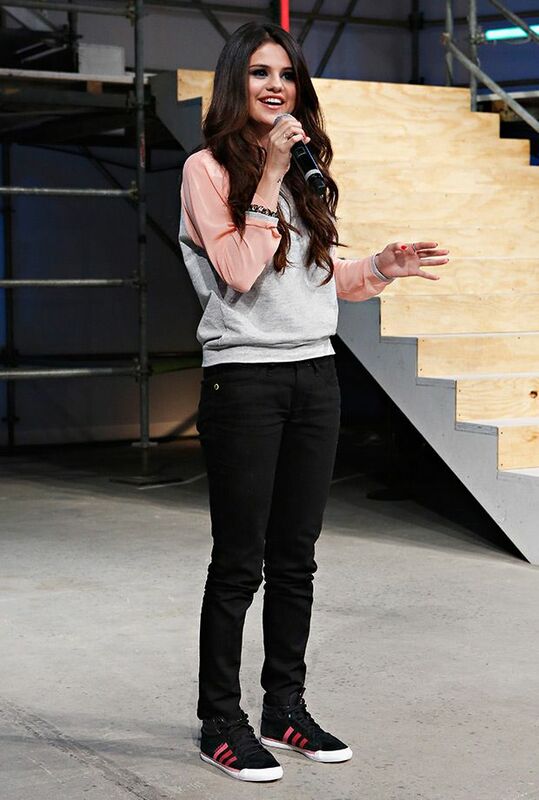 Selena Gomez, WE Day speaks on stage in her RE/DONE jeans during the WE Day California in Inglewood, California. 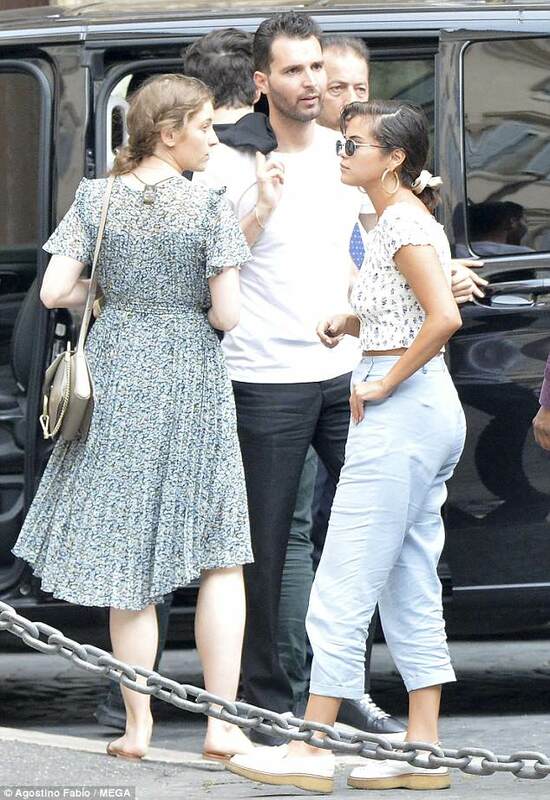 When it comes to Selena Gomez's New York City style, she seems to shift back and forth between casual-cool, sporty vibes and looks that are simple and chic. Her blazer is super cute and she looks like a business women. Selena kept on her key accessory of the night: an edgy statement choker. 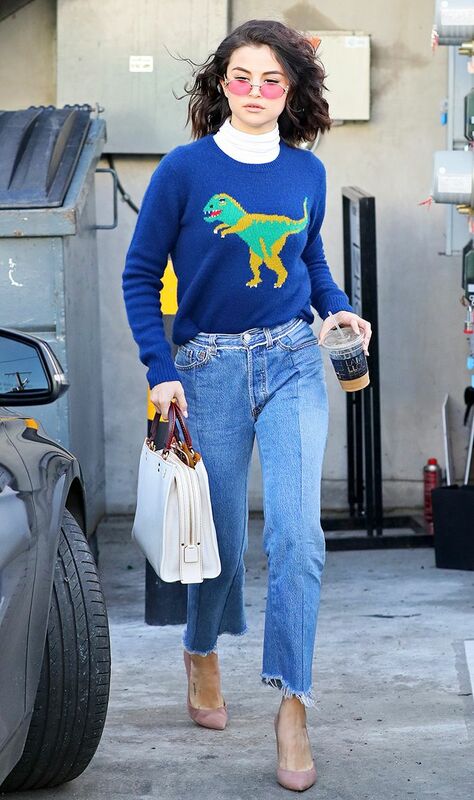 Selena stayed cozy in her sweater and cuffed jeans while holding her new puppy Charles. Maybe she felt to constricted in her jumpsuit. Louis Vuitton's newest It bag was just spotted on Selena Gomez, and we're jealous. Check it out here. Selena Gomez has a meeting with William H. Macy on her new Fil "Rudderless." April 8, 2013. 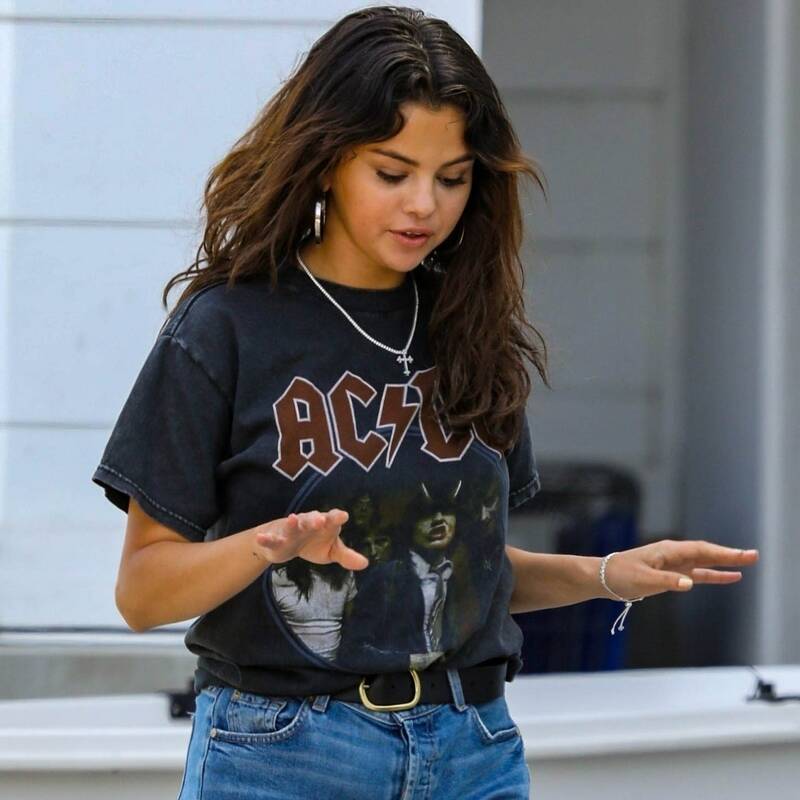 Selena Gomez channels her inner 90s with a choker, crop top, and mom jeans.